(Sporting Alert) — The Indiana Pacers will try and stay in the playoff hunt with a victory against the Washington Wizards, live on TNT on Tuesday night. Indiana (37-43) currently hold down the number eight slot in the Eastern Conference standings and a win at home tonight would see them staying ahead of Brooklyn Nets and the Miami Heat in the race for that final playoff spot from the East. The Pacers seek their sixth win in a row after holding off Russell Westbrook and the Oklahoma City Thunder in the last outing and head coach Frank Vogel praised his team’s fighting appetite. “These guys have really stayed in the fight, had a great attitude and a great perspective to grind through the tough spots,” Vogel said. Indiana, which must finish with a better record than the Nets after losing the season series, closes its regular season fixtures against the Memphis Grizzlies on Wednesday. Meanwhile, the Wizards have already clinched its playoff slot, but they are hoping to build some sort of momentum heading into the postseason. Star point guard John Wall, who scored 24 and dished out nine assists, on his return to action in the 108-99 victory over the Hawks on Sunday, believes despite the “ups and downs” on the season, the team is still in a good position. “We had a lot of ups and downs, letting a lot of wins slip away. 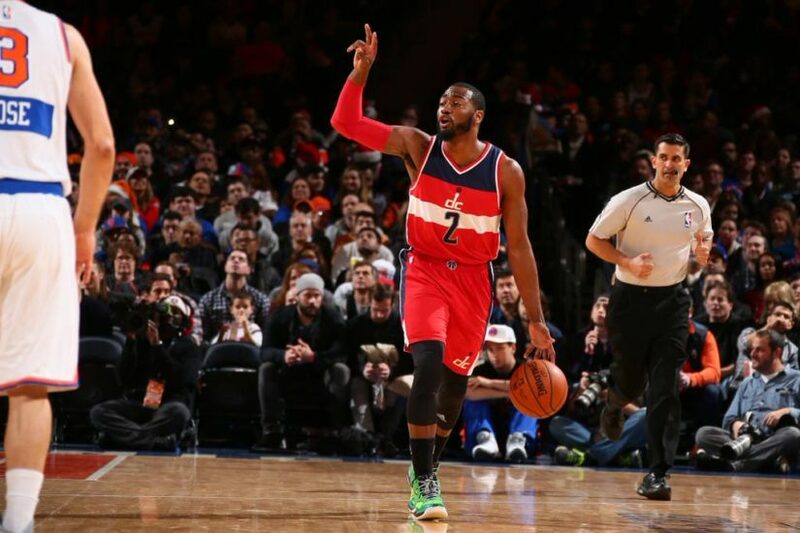 I feel like this was easily a 50-win season,” Wall said. Washington (46-34) sits fifth in the Eastern Conference standings. The team has won six of the last 10 games. A first round playoff matchup with either the Toronto Raptors or Chicago Bulls awaits the Wizards. Also in action on Tuesday and live on TNT are the Los Angeles Clippers, who will take on the Phoenix Suns, who are already out of the playoff running after falling behind the New Orleans Pelicans and Oklahoma City Thunder in the Western Conference. The Toronto Raptors are at Boston Celtics in the night’s other game.